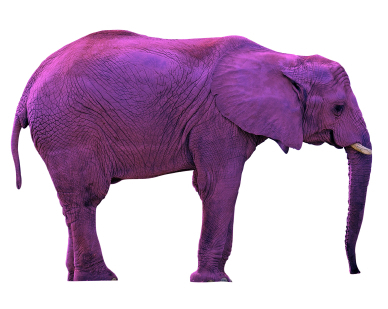 Right after my vague description of the purple elephant in politics, a real-life example came up. A county in Tennessee has a unique arrangement. Rural residents in Obion County do not have their own fire department. The nearby city of South Fulton has a fire department, but did not operate beyond the city limits. Instead of letting a fire rage on, South Fulton contracted with individual residents to pay a $75 annual fee to fight fires out of their jurisdiction. They are now able to take any fire call in that part of the county and protect the lives of homeowners. These stories are just sad. Some people blame the heartlessness of South Fulton. Others blame the ineptitude of Obion County. Others blame dumb residents who can’t come up with $75. In the blogosphere, the right is at fault for not making government services a mandatory tax. Others say it’s the fault of bloated government incompetence. Save the house in every case. South Fulton has decided, correctly or not, that people who see houses extinguished for free will not want to pay the fee. The city is not obligated to put out the fire, and they decided not to do so. Save the house and bill for services rendered. Let’s say one out of 1,000 places in the county has a house fire. Their “share” of the bill would be $75,000. It would be cheaper to let the house burn down. If that person isn’t paying $75 now, a bigger bill has less chance of being paid. The other option is to put out the fire and seize the house. It doesn’t always work out well when government entities receive spoils. Make the fee mandatory. This is the closest to what everyone else in the country does. Fire fighting is one of the most basic services of the government. In this case, it didn’t happen. You can sit back and lament it or do something about it. South Fulton did something, and now they seem to own it. When is the county going to make this a part of the budget? The solution is not to leave it to the individual, because some of those people are downright stupid. The solution is also not to the state, because they are downright stupid. The politics of left and right got right up and left here. What this requires is someone to make a damn decision either way. Now, if they could just move that purple elephant. From your very own animalarian (thanks, Hemingway), forget the cheap parasites and save the elephant. The purple pachy understands that there’s no such thing as a free lunch. This insigh alone makes him smarter than virtually all libtards.